What is Bulletproof Coffee? Is Bulletproof Coffee Good or Bad for You? What Coffee does Bulletproof coffee use ? What Brain-Octane Oil does Bulletproof coffee use ? What is Saturated Fat ? Is there real science behind this coffee ? Or it’s just another fad diet (drink) or the latest Hollywood craze ? In order to give an opinion about bulletproof coffee, we first need to analyse what each of their ingredients are and how they affect your body. 1-2 tablespoons grass-fed, unsalted butter or grass-fed ghee. Make your coffee. Brew 1 cup (8-12 ounces) of coffee using filtered water with 2 ½ heaping tablespoons of freshly ground Bulletproof Coffee Beans. Use a French Press for ease of use and to preserve beneficial coffee oils that paper filters keep out. Add grass-fed butter or ghee. Add 1-2 tablespoons of grass-fed, unsalted butter or grass-fed ghee. Make sure your butter is unsalted. Salty coffee is gross. Blend. Mix it all in a blender for 20-30 seconds until it looks like a creamy latte. There will be a good amount of foam on top. From their website, their grounded and whole bean coffee is 100% Arabica coffee 3). Based on their structure, saturated fats can be sub-classified into short chain, medium chain, and long chain fats whereas mono- and polyunsaturated fats are all long chain fats. Long chain fatty acids (LCFA) generally have 12 or more carbon chains. Recently updated meta-analysis of clinical trials found that lauric acid (12:0), myristic acid (14:0), and palmitic acid (16:0) significantly raised levels of total cholesterol and low density lipoprotein (LDL) “bad” cholesterol when mixed carbohydrates in diet were replaced by these fatty acids 8), 9). Previous analysis of women in the Nurses’ Health Study reported that intake of major saturated fatty acids (including 12:0, 14:0, 16:0, and 18:0) were associated with an elevated risk of coronary heart disease, whereas the sum of butyric acid (4:0), caproic acid (6:0), caprylic acid (8:0), and capric acid (10:0) was not 10). MCT oil as used in the brain-octane oil is a medium chain fatty acids oil. MCT oil can be a mixture of one or more of these types of medium chain fatty acids (in the case of BP coffee it’s the Caprylic acid C8:O carbons) and is typically extracted from coconut or palm oil, which are both rich natural sources. Few clinical studies have examined the impact of medium chain fatty acids (MCTs) on cardiovascular disease risk factors 11), 12), 13), 14), 15). Some of those studies have found that medium chain fatty acids (MCTs) consumption increased total cholesterol (TC) and low-density lipoprotein cholesterol (LDL bad Cholesterol) to the same extent as palm oil 16) and led to higher levels of triglycerides than palm oil and sunflower oil 17), an other diet rich in long chain fatty acids (LCFA) 18), 19), or soybean oil 20). Reductions in HDL (good) Cholesterol 21) and absence of effects on Total Cholesterol, LDL (bad) Cholesterol, and HDL (good) Cholesterol have also been noted with medium chain fatty acids (MCTs) consumption 22). Previous studies with medium chain triglyceride (MCT) oil showed reductions in Total Cholesterol and LDL (bad) Cholesterol and no change in HDL (good) Cholesterol or Triglycerides 23), 24) but in those studies the MCT oil was fed in combination with plant sterols, which are known to reduce total cholesterol and LDL” bad” Cholesterol 25), 26) and safflower oil, an oil rich in n-3 polyunsaturated fats. Hu et al. 27), however, have found that MCT oil did not increase the risk of coronary heart disease in the Nurses’ Health Study whereas consumption of long chain saturated fats did. Therefore, whether MCT oil truly has a negative impact on cardiovascular risk remains to be firmly established. This is particularly important since MCT oil has been taunted as a potential weight-lowering agent 28), 29), 30), 31), 32). In the published short term single day studies involving very small sample of test subjects, MCT oil seems to be positive in increasing energy expenditure (post meal thermogenesis) and may result in faster satiety and could facilitate weight control when included in the diet as a replacement for fats containing long chain fatty acids. However, when Flatt et al. 33) compared diets rich in MCT, LCT and low in fat, they concluded that a low fat diet was more effective when aiming for weight loss. From the website, you are to add 1-2 tablespoons (15-30 ml) grass-fed, unsalted butter or grass-fed ghee. In other words, if you drink bulletproof coffee with 2 tablespoons of butter or ghee, you are drinking an equivalent of 14- 16.8 grams of saturated fat plus 56-60 mg of cholesterol per cup of coffee which is already high above the American Heart Association daily saturated fat intake recommendation 34). And if you drink more than one cup of coffee a day like most people do, your saturated fat intake and cholesterol intake will rapidly exceed the American Heart Association’s safe recommended saturated fat should be no more than 5 percent to 6 percent of daily calories. So, for a diet of 2,000 calories a day, that would mean no more than 120 of them should come from saturated fats. That’s about 13 grams of saturated fats a day 35). Butter is made by churning fresh or fermented cream or milk to separate the butterfat from the buttermilk. Butter is a dairy product containing up to 80% butterfat. Butter is one of the most highly concentrated forms of fluid milk. Twenty liters of whole milk are needed to produce one kilogram of butter. This process leaves approximately 18 liters of skim milk and buttermilk, which at one time were disposed of as animal feed or waste. Today the skim portion has greatly increased in value and is fully utilized in other products. Ghee, also known as clarified butter or anhydrous milk fat, is prepared by heating butter or cream to just over 100°C to remove water content by boiling and evaporation, then filtering out the precipitated milk solids 36). Both butter and ghee are high in saturated fat and cholesterol. Consuming high amounts of saturated fats linked to increased heart disease risk ! 37), 38), 39), 40). Previous studies have shown that individual saturated fatty acids have different effects on blood lipids, but little is known about associations between individual saturated fatty acid intake and coronary heart disease risk. However, in a study that appeared online on 23rd November 2016, in The British Medical Journal 41), where the researchers analyzed data from 73,147 women involved in the Nurses’ Health Study between 1984 and 2012, and 42,635 men who were in the Health Professionals Follow-up Study between 1986 and 2010. Participants reported their diet and health status on questionnaires completed every four years. The study found that a higher intake of the most commonly consumed major saturated fatty acids—lauric acid, myristic acid, palmitic acid, and stearic acid—was associated with a 18% increased relative risk of coronary heart disease 42). This study dispels the notion that ‘butter is good’, said Dr. Hu the study co-author. Dr. Hu added, “individual saturated fatty acids share the same food sources, such as red meat, dairy, butter, lard, and palm oil. Therefore it is impractical to differentiate the types of saturated fatty acids in making dietary recommendations, an idea that some researchers have put forth. Instead, it is healthier to replace these fatty acids with unsaturated fats from vegetable oils, nuts, seeds, and seafood as well as high quality carbohydrates” 43). “Replacing sources of saturated fat in our diets with unsaturated fats is one of the easiest ways to reduce our risk of heart disease,” said Walter Willett, a co-author and professor of epidemiology and nutrition. Replacing just 1% of daily consumption of these fatty acids with equivalent calories from polyunsaturated fats, whole grain carbohydrates, or plant proteins, was estimated to reduce relative coronary heart disease risk by 6%-8%. Replacing palmitic acid—found in palm oil, meat, and dairy fat—was associated with the strongest risk reduction. Meaning: Different types of dietary fat had different associations with mortality, the researchers found. Trans fats—on their way to being largely phased out of food—had the most significant adverse impact on health. Every 2% higher intake of trans fat was associated with a 16% higher chance of premature death during the study period. Higher consumption of saturated fats was also linked with greater mortality risk. When compared with the same number of calories from carbohydrate, every 5% increase in saturated fat intake was associated with an 8% higher risk of overall mortality. Conversely, intake of high amounts of unsaturated fats—both polyunsaturated and monounsaturated—was associated with between 11% and 19% lower overall mortality compared with the same number of calories from carbohydrates. 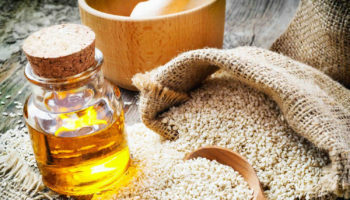 Among the polyunsaturated fats, both omega-6, found in most plant oils, and omega-3 fatty acids, found in fish and soy and canola oils, were associated with lower risk of premature death. These findings support current dietary recommendations to replace saturated fat and trans-fat with unsaturated fat. “Good” unsaturated fats — Monounsaturated and polyunsaturated fats — lower disease risk. 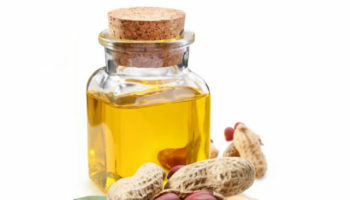 Foods high in good fats include vegetable oils (such as olive oil, canola oil, sunflower oil, peanut oil, safflower, soybean oil, walnut oil and corn oil), nuts (peanuts,almonds, cashews, hazelnuts, pistachios and pecans), seeds, avocado and fish. “Bad” fats — trans fats — increase disease risk, even when eaten in small quantities. Foods containing trans fats are primarily in processed foods made with trans fat from partially hydrogenated oil. Fortunately, trans fats have been eliminated from many of these foods. “Bad” Saturated fats, while not as harmful as trans fats, by comparison with unsaturated fats negatively impact health and are best consumed in moderation. Foods containing large amounts of saturated fat include red meat, butter, ghee, coconut oil, palm oil, cheese and ice cream. Saturated fats and trans fats, added sugars, and sodium. Consume less than 10 percent of calories per day from saturated fats. To further reduce your heart disease risk, limit saturated fats to less than 7% of your total daily calories. In a new study appearing online in the Journal of the American College of Cardiology, Dr. Frank Hu and colleagues found that people who replace saturated fat (primarily found in meats and dairy foods) with refined carbohydrates do not lower their risk of heart disease, whereas those who replace saturated fats with unsaturated fats or whole grains lower their heart disease risk 46). Saturated fat is a type of dietary fat. It is one of the unhealthy fats, along with trans fat. These fats are most often solid at room temperature. Foods like dairy butter, ghee butter, palm oil, palm kernel oil, beef tallow and coconut oil, cheese, pork lard and red meat have high amounts of saturated fat 49). Too much saturated fat in your diet can lead to heart disease and other health problems. In large randomised clinical trials that used polyunsaturated fat to replace saturated fat reduced the incidence of cardiovascular disease 50), 51). Cardiovascular disease is the leading global cause of death, accounting for 17.3 million deaths per year, comprising 31.5% of total global deaths in 2013. Nearly 808 000 people in the United States died of heart disease, stroke, and other cardiovascular diseases in 2014, translating to about 1 of every 3 deaths. This large cohort study 52) found that higher intake of saturated fat (found in foods like butter, lard, tallow and red meat) and especially trans fat (predominantly from partially hydrogenated vegetable oil), was associated with greater risk of mortality (death) when compared with the same number of calories from carbohydrate. When compared with carbohydrates, every 5% increase of total calories from saturated fat was associated with an 8% higher risk of overall mortality, and every 2% higher intake of trans fat was associated with a 16% higher risk of overall mortality 53). The study investigated 83,349 women from the Nurses’ Health Study (July 1, 1980, to June 30, 2012) and 42,884 men from the Health Professionals Follow-up Study (February 1, 1986, to January 31, 2012) who were free of cardiovascular disease, cancer, and types 1 and 2 diabetes at baseline 54). Dietary fat intake was assessed at baseline and updated every 2 to 4 years. Information on mortality was obtained from systematic searches of the vital records of states and the National Death Index, supplemented by reports from family members or postal authorities. Of the 126,233 participants who were followed up for as long as 32 years, the study found that higher intakes of saturated fat and trans-fat were associated with increased mortality, whereas higher intakes of polyunsaturated (PUFA) and monounsaturated (MUFA) fatty acids were associated with lower mortality. Replacing 5% of energy from saturated fats with equivalent energy from PUFA and MUFA was associated with reductions in total mortality of 27% and 13%, respectively 55). People who replaced saturated fats with carbohydrates had only slightly lower mortality risk. In addition, replacing total fat with carbohydrates was associated with modestly higher mortality. This was not surprising, the authors said, because carbohydrates in the American diet tend to be primarily refined starch and sugar, which have a similar influence on mortality risk as saturated fats. “Our study shows the importance of eliminating trans fat and replacing saturated fat with unsaturated fats, including both omega-6 and omega-3 polyunsaturated fatty acids. In practice, this can be achieved by replacing animal fats with a variety of liquid vegetable oils,” said senior author Frank Hu, professor of nutrition and epidemiology at Harvard Chan School and professor of medicine at Harvard Medical School. This study is the most detailed and powerful examination to date on how dietary fats impact health. It suggests that replacing saturated fats like butter, lard, and fat in red meat with unsaturated fats from plant-based foods—like olive oil, canola oil, and soybean oil—can confer substantial health benefits and should continue to be a key message in dietary recommendations. Scientists concluded that saturated fat should be no more than 5 percent to 6 percent of daily calories. So, for a diet of 2,000 calories a day, that would mean no more than 120 of them should come from saturated fats. That’s about 13 grams of saturated fats a day 56). Saturated fats are found in all animal foods, and some plant sources. In comparison, if you drink a cup of bulletproof coffee with 2 tablespoons of butter or ghee, you are drinking an equivalent of 14- 16.8 grams of saturated fat plus 56-60 mg of cholesterol, which is equivalent to eating a piece of 340 g steak. It is fine to treat yourself to these types of foods once in a while. But, it is best to limit how often you eat them and limit portion sizes when you do. Heart disease risk. Your body needs healthy fats for energy and other functions. But too much saturated fat can cause cholesterol to build up in your arteries (blood vessels). Saturated fats raise your LDL, or bad, cholesterol. High LDL cholesterol increases your risk for heart disease and stroke. Weight gain. Many high-fat foods such as pizza, baked goods, and fried foods have a lot of saturated fat. Eating too much fat can cause you to gain weight. All fats contain 9 calories per gram of fat. This is more than twice the amount found in carbohydrates and protein. Cutting out high-fat foods can help keep your weight in check and keep your heart healthy. Staying at a healthy weight can reduce your risk of diabetes, heart disease, and other health problems. Randomized controlled trials that lowered intake of dietary saturated fat and replaced it with polyunsaturated vegetable oil reduced cardiovascular disease by about 30 percent – similar to results achieved by some cholesterol-lowering drugs known as statins 58). Prospective observational studies in many populations showed that a lower intake of saturated fat with a higher intake of polyunsaturated and monounsaturated fat is associated with lower rates of cardiovascular disease 59). Several studies found that coconut oil – which is predominantly saturated fat but has been widely touted recently as healthy – raised LDL cholesterol to the same degree as other saturated fats found in butter, beef fat, ghee and palm oil. Cholesterol is a waxy substance that your body needs it to build cells. But too much cholesterol can be a problem 60). Cholesterol comes from two sources. Your body (specifically your liver) makes all the cholesterol you need. The rest you get from foods. For example, meat, poultry, ghee, butter, pork lard, beef tallow and full-fat dairy products contain cholesterol (called dietary cholesterol). More importantly, these foods are high in saturated and trans fat. That’s a problem because these fats cause your liver to make more cholesterol than it otherwise would. For some people, this added production means they go from a normal cholesterol level to one that’s unhealthy. Some tropical oils, such as palm oil, palm kernel oil and coconut oil, also can trigger your liver to make more cholesterol. These oils are often found in baked goods. There are actually two types of cholesterol: “bad” and “good.” LDL cholesterol is the “bad” kind. HDL is the “good” kind. Too much of the bad kind (LDL cholesterol) — or not enough of the good kind (HDL cholesterol) — increases the chances that cholesterol will start to slowly build up in the inner walls of arteries that feed the heart and brain. We talk more about these two kinds of cholesterol here: What is Cholesterol and Is there good and bad cholesterol ? High LDL “bad” cholesterol is one of the major controllable risk factors for coronary heart disease, heart attack and stroke. High LDL “bad” cholesterol contributes to fatty buildups in arteries (atherosclerosis). Plaque buildups narrow arteries and raise the risk for heart attack, stroke and peripheral artery disease can narrowed arteries in the legs. If the blocked artery supplies the heart or brain, a heart attack or stroke occurs. If an artery supplying oxygen to the extremities (often the legs) is blocked, gangrene can result. Gangrene is tissue death. If you have other risk factors such as smoking, high blood pressure or diabetes, this risk increases even more. The more risk factors you have and the more severe they are, the more your overall risk rises. Keeping your cholesterol levels healthy is a great way to keep your heart healthy – and lower your chances of getting heart disease or having a stroke. Cholesterol circulates in the blood, and as blood cholesterol levels rise, so does the risk to your health. That’s why it’s important to have your cholesterol tested so you can know your levels. Together with other substances, LDL “bad” cholesterol can form a thick, hard deposit that can narrow the arteries and make them less flexible. This condition is known as atherosclerosis. If a clot forms and blocks a narrowed artery, a heart attack or stroke can result. A diet high in saturated (e.g. ghee, butter, beef tallow, pork lard) and trans fat is unhealthy because it tends to raise LDL “bad” cholesterol. High LDL “bad” cholesterol is one of the major controllable risk factors for coronary heart disease, heart attack and stroke. If you have other risk factors such as smoking, high blood pressure or diabetes, this risk increases even more. The more risk factors you have and the more severe they are, the more your overall risk rises. A low LDL cholesterol level is considered good for your heart health. There is nothing healthy about drinking Bulletproof coffee. It’s a coffee that is both high in saturated fat and cholesterol, which have been proven in clinical studies can lead to heart disease, stroke and other health problems. According to the American Heart Association and American College of Cardiology advisory panel 61), cardiovascular disease was lowered by about 30 percent, similar to the effect of cholesterol-lowering statin drugs when vegetable oil replaced saturated fat in the diet. The switch to healthier oils also was associated with lower rates of death from all causes 62). Even though the use of the medium chain fatty acids (MCT oil) may be beneficial in the short term for weight management, this positive effect is negated by the very high saturated fat, cholesterol and calories you’ll also be consuming from this very high fat beverage bulletproof coffee. Eating too much fat can cause you to gain weight which leads to obesity, type 2 diabetes, metabolic syndrome, high blood pressure, arthritis and cancers. Randomized controlled trials that lowered intake of dietary saturated fat and replaced it with polyunsaturated vegetable oil reduced cardiovascular disease by about 30 percent – similar to results achieved by some cholesterol-lowering drugs known as statins 64). Prospective observational studies in many populations showed that a lower intake of saturated fat with a higher intake of polyunsaturated and monounsaturated fat is associated with lower rates of cardiovascular disease 65). Replacing saturated fat with mostly refined carbohydrate and sugars does not lower rates of heart disease, but replacing these fats with whole grains is associated with lower rates. This indicates that saturated fat and refined carbohydrate are equally bad relative to heart disease risk. The prefer alternative for avid coffee drinkers will be to drink a normal coffee with added low or zero calorie sweeteners (e.g. Stevia, Erythritol, Lou Han Guo Extracts, artificial sweeteners). That way you are certain to consume zero or very low calorie without all the extra fats. Monk Fruit (Nectresse and Luo Han Guo) also known as Siraitia grosvenori Swingle, has been used in China for centuries as a natural sweetening agent and has been reported to be beneficial for diabetic population 66), 67). Stevia: This leafy herb also known as honey leaf has been used for centuries by native South Americans. The extract from stevia is approximately 100 to 300 times sweeter than white sugar. It can be used in cooking, baking and as a sugar substitute in most beverages. Stevia has been shown to have a positive effect on blood sugar levels by increasing insulin production, and decreasing insulin resistance. 9. ↵ Mensink RP. Effects of saturated fatty acids on serum lipids and lipoproteins: a systematic review and regression analysis.World Health Organization, 2016. 20, 22. ↵ Hill JO, Peters JC, Swift LL, Yang D, Sharp T, Abumrad N, Greene HL. Changes in blood lipids during six days of overfeeding with medium or long chain triglycerides. J Lipid Res. 1990;31:407–416. Hill JO, Peters JC, Swift LL, Yang D, Sharp T, Abumrad N, Greene HL. Changes in blood lipids during six days of overfeeding with medium or long chain triglycerides. J Lipid Res. 1990;31:407–416. 33. ↵ Flatt, J. P., Ravussin, E., Acheson, K. J. & Jequier, E. (1985) Effects of dietary fat on postprandial substrate oxidation and on carbohydrate and fat balances. J. Clin. Investig. 76:1019-1024. 37. ↵ Siri-Tarino, P.W., et al., Saturated fatty acids and risk of coronary heart disease: modulation by replacement nutrients. Curr Atheroscler Rep, 2010. 12(6): p. 384-90. 38. ↵ Hu, F.B., et al., Dietary fat intake and the risk of coronary heart disease in women. N Engl J Med, 1997. 337(21): p. 1491-9. 39. ↵ Ascherio, A., et al., Dietary fat and risk of coronary heart disease in men: cohort follow up study in the United States. BMJ, 1996. 313(7049): p. 84-90. 40. ↵ Hu, F.B., J.E. Manson, and W.C. Willett, Types of dietary fat and risk of coronary heart disease: a critical review. J Am Coll Nutr, 2001. 20(1): p. 5-19. 50. ↵ Mozaffarian D, Micha R, Wallace S. Effects on coronary heart disease of increasing polyunsaturated fat in place of saturated fat: a systematic review and meta-analysis of randomized controlled trials. PLoS Med. 2010;7:e1000252. doi: 10.1371/journal. pmed.1000252. 51. ↵ Hooper L, Martin N, Abdelhamid A, Davey Smith G. Reduction in saturated fat intake for cardiovascular disease. Cochrane Database Syst Rev. 2015:CD011737. doi: 10.1002/14651858. CD011737.